Home / FILM POSTERS / "Rogue One: A Star Wars Story" Official Movie Poster Released Online! "Rogue One: A Star Wars Story" Official Movie Poster Released Online! We've seen the second movie trailer of "Rogue One: A Star Wars Story" a few days ago (and posted above). Now, here's your chance to use your imagination on the whole story of what could have happened to some of the movie Star Wars franchise's loophole story and the film as we present to you the official movie poster of "Rogue One: A Star Wars Story". 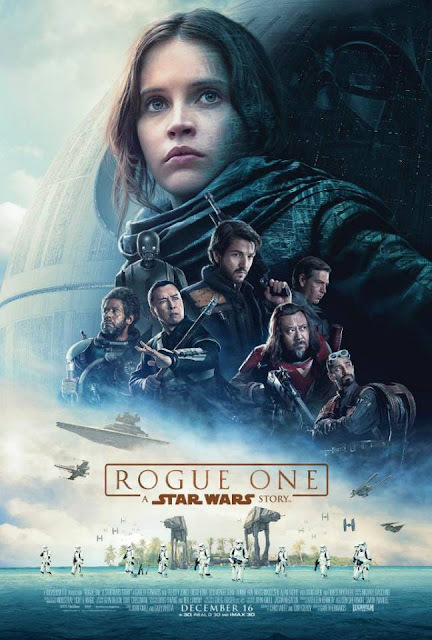 Empire Online releases the movie poster of "Rogue One: A Star Wars Story" below with lots of expectations and anticipations from all fans of the wicked Star Wars franchise. See for yourself. "Rogue One: A Star Wars Story" is coming to movie theaters near you on December 16, 2016 and will only be enjoyed by fans for only nine (9) days due to the upcoming Metro Manila Film Festival 2016. For now, just feast your eyes to the colorful graphics of the film poster below. Enjoy!